In the Spring of 2016, I was awarded the Alice Rowan Swanson Fellowship, designed to support former SIT students in completing a community project in the country where they studied abroad. I spent the 2014 Fall semester in Panama with SIT, and learned about Few for Change during a presentation given by our program director, Aly Dagang. I reached out to Few for Change after returning home, and over the next year and a half we planned a project that could use the funding available through the ARS Fellowship to help expand Few for Change’s outreach and impact. The project proposal was to use filmed interviews and clips of daily life in the areas where Few for Change works to help the organization reach a wider audience. After much coordination between the volunteers in the states and in Panama, I was set to spend three weeks in a part of Panama to which I had never previously traveled. 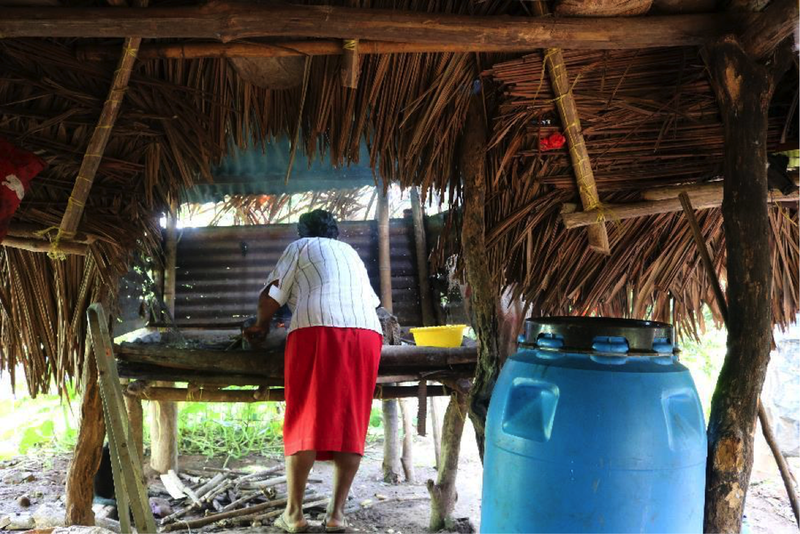 There are 6-8 indigenous groups in Panama, and the semi-autonomous indigenous states in which they live are called “comarcas”. The Ngäbe-Buglé often refer to their region simply as “La Comarca”. 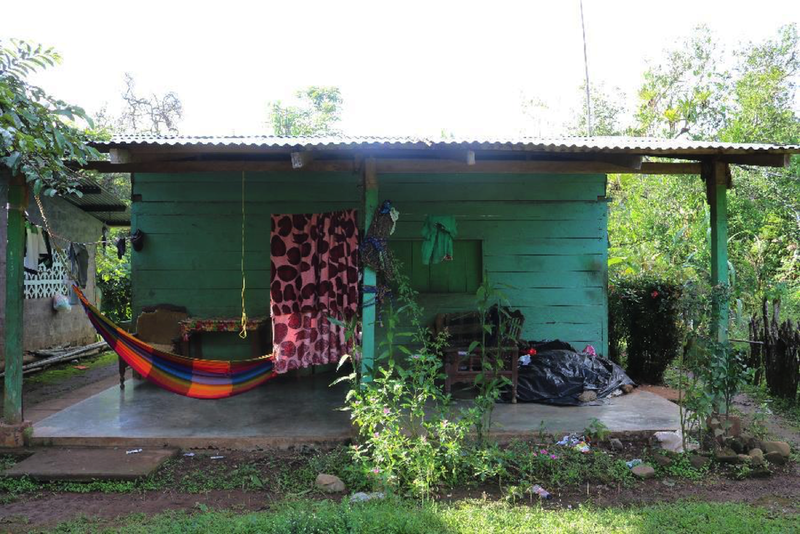 Although the SIT program takes students all over Panama, the program did not travel to the Ngäbe-Buglé Comarca during my semester abroad. I flew from Boston to Panama City on July 4th, 2016. I had a briefcase with my computer, a GoPro, a GPS, a voice recorder, student applications for Few for Change, contact info, and countless chargers. I also had a hiking backpack, a tripod across my shoulder, and a camera bag hanging on my hip. The first challenge of the trip was to get everything to Panama, and then to the Comarca, intact. When I arrived in the Panama City airport, the first thing I remembered was the humidity. It was hard to remember how I’d gotten used to it, even learned to love it during the just over 3 months I had spent in 2014 as a student with the School for International Training’s study abroad program there. After spending time in the highlands of Cerro Punta, in the islands of Guna Yala and the mangroves of Galeta, I recognized immediately the smell of the city, which had been our home base during our semester abroad. It was good to touch base somewhere familiar before embarking on something so new. The bus ride to the Comarca Ngäbe-Buglé was about 7 hours long, but it was a double decker bus with movies and air conditioning, and we stopped for a meal about 5 hours in. When I arrived in Quebrada Guabo, I had only the name of my host family and a description of her house, and the taxi driver asked several neighbors along the way to get me to the house of Doris Gallardo. Doris's home in Quebrada Guabo. Doris is the ultimate matriarch. After a few days spent with her, it was clear that she runs her household and those of her four children, who all live within a 50-foot radius of her home. It is Doris who is up at 5:30 in the morning to prepare breakfast and care for any grandchildren placed on her lap while her children hitch rides to the grocery store or to work. But it is also Doris who oversees all the applications for Few for Change scholars in Quebrada Guabo and the surrounding villages. Doris collects the applications, sends them to Panama City, and trusts that they will make their way back to the United States. Few for Change has volunteers in three small towns in one area of the Comarca, called Jadeberi (Susama). Quebrada Guabo sits at the very edge of the Comarca, where the Pan American Highway is only 20 minutes down the main road from Doris’s house. A view of the road from Doris's house. The road is paved because of Quebrada Guabo's proximity to the Pan-American highway. Doris cooks a meal from her traditional outdoor kitchen. Between visiting the local school and interviewing teachers, students, and Doris, I gave Doris a packet of applications to hand out to potential FFC scholars in Quebrada Guabo. I also brought an extra scholarship payment for her grandson, Edgar, who is Few for Change’s first university scholar. Edgar is lucky- he lives close enough to home to be able to commute to school in nearby Remedios. Still, transportation is expensive- he must take a taxi home when he gets out of school at 10:00 pm every night after the buses stop running. Over the course of the year, the expenses added up, and he had exhausted his scholarship funds. Without an extra $75 to pay for transportation, he would have been forced to withdraw from school. Evidence of some late-night college studying in the entrance of Doris’s house. Doris’s grandchildren spend much of their free time on their grandmother's porch. A photo of Edgar hangs in his room in Doris’s house- the room that I occupied during my stay.